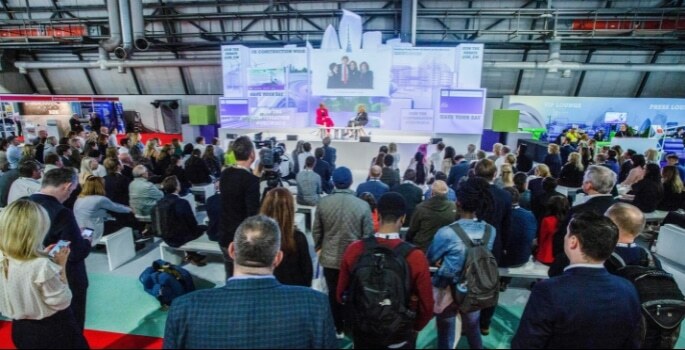 Confirming its position as the largest event for the UK construction industry, a record-breaking 34,000 industry professionals attended this year’s UK Construction Week (UKCW). Built environment professionals from all parts of the industry came for new ideas and innovation, eager to explore new ways of working in a sector that is hungry to embrace the latest technology and products. As a first-time attendee at UK Construction Week, I was blown away by the broad range of information available. Some of my personal highlights included a discussion on mental health led by Chris Ivey, Director (Health & Safety) at THSP Risk Management. Think of the stereotypical construction worker and what do you envision? Robust, stoic, tough? This is probably why mental health is such a taboo issue in the industry. Yet, a construction worker is 15 times more likely to die from a suicide than a fatal accident. It’s important to start the conversation; you can visit www.buildingmentalhealth.net/ for more information. Another talk discussed the all-important question of how to win construction bids. Denise O’Leary of Purpol Marketing said the key to success is being an established business, a low risk choice and a business that is able to show how it can add value. So, think of what you do really well and tell them. When it comes to lighting solutions, Darren James, Regional Sales Manager of VELUX Modular Skylights, told me that it depends on the type and design of the building. However, VELUX’s developed modular skylights are particularly popular currently. They are especially useful for controlling the glare on the whiteboard. The ‘Future of Construction’, this year’s theme, pervaded throughout the nine different shows within UKCW, and was brought to life through an innovation trail, 3D printing, AI, AR, numerous construction site simulators, and robotic technologies such as the Robocop-esque ExoSkeleton. There were more than 650 exhibitors at UKCW this year, demonstrating and launching over 10,000 products and services. The diversity and innovation on show brought national media attention to UKCW, with live broadcasts each day including BBC Breakfast, Birmingham Live and BBC News channels. Delegates were also keen to learn from the repercussions of the Hackitt Review and the Grenfell Tower fire. This led to CPDs and seminars covering the big issues all being extremely busy, including sessions on the review of building regulations and fire safety, quality and the consequences of poor building practices, insulation and cladding and other topics concerned with fire. Other packed-out sessions generated calls for more responsive planning and housing policies, more integration across digital construction and software systems, and more consistency and guidance from the Government, especially in procurement and standards. Equality, diversity and inclusion was also a major theme, with big debates on the UKCW stage. There was a highly illuminating interview with Barbara Res, the woman who built Trump Tower, plus a presentation by Lord Blunkett discussing the Heathrow Skills Taskforce, and the first award presentation for the UK Construction Week Role Model of the Year. Arleta Andreasik-Paton, a construction project manager at Aecom, was awarded Role Model of the Year, recognised for her passion for inspiring the next generation into construction. UKCW consists of multiple specialist shows, including the Build Show, headline sponsored by Easy-Trim, Building Tech Live, Timber Expo, Civils Expo, Energy 2019, Plant and Machinery Live, HVAC 2019 and the Surface and Materials Show. 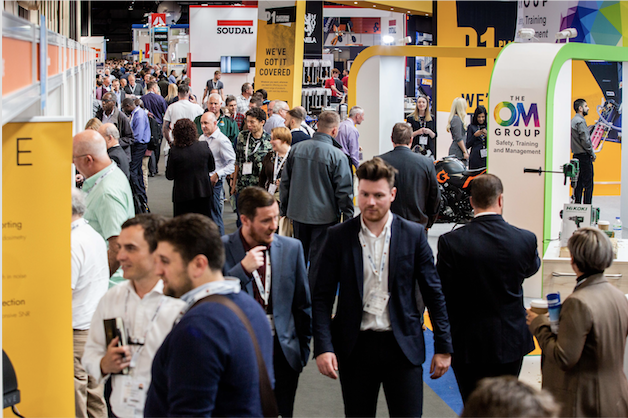 Next year’s UKCW will take place between 8-10 October 2019 at Birmingham’s NEC. How are UK independent schools encouraging positive mental health?